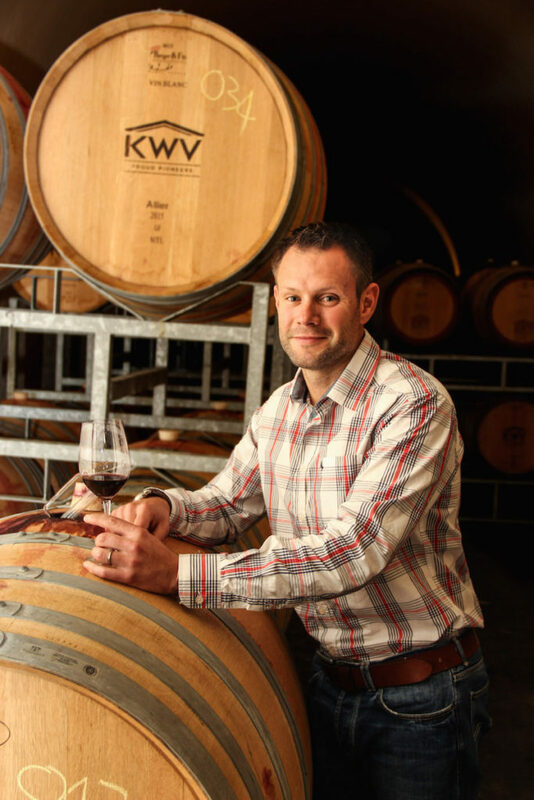 KWV has appointed Wim Truter as its new Chief Winemaker. He brings thirteen years of international and local wine industry experience to one of SA’s most revered producers. Originally from the Strand, Truter finished his studies at the University of Stellenbosch in 2003 and worked in Australia, USA and France for 2 years. He started his career in SA at Nederburg, in Paarl, where he worked as red winemaker until 2009 at which point he was selected to complete a master’s program in Viticulture and Oenology in Europe. The program was based in France, Italy and Spain, where he gained great experience and travelled through the EU visiting wine producing regions. He then completed his thesis in SA on viticultural practices. He returned to Nederburg as white winemaker in 2011 and then moved to Bergkelder in Stellenbosch in 2013, first as red winemaker and later as Cellar Master before joining KWV this month. Commenting on his new appointment, Wim Truter says that the KWV appointment is a massive honour and privilege and that he feels lucky that those that have come before him have laid down an amazing platform and base to work from. He adds that another big focus will be to find ways to engage with consumers so that the incredible stories that are so part of the wines the wine team at KWV makes are conveyed. KWV’s outgoing winemaker, Johann Fourie, who was named Diners Club Winemaker of the Year 2016, is leaving the corporate environment to further his career in the boutique wine sector, taking a position as head winemaker at Benguela Cove Lagoon Wine Estate to specialize in the production of patrician sparkling wine at the company’s SA and UK operations. KWV wines continues to be recognized globally as a leading wine brand for its quality, heritage and innovation brands including Roodeberg, KWV wines, Laborie, Cathedral Cellar, and KWV The Mentors. KWV was once again this year named as one of Drinks International’s the World’s Top 50 Most Admired Wine Brands for the fifth successive year and has further cemented its position as a leading international wine producer, with its impressive 171 wine awards at both international and local competitions for 2016 so far. These include 24 trophies, 15 double gold, 34 gold, 62 silver, and 36 bronze medals.